Joined 10 years ago from San Antonio, Texas, U.S.A. 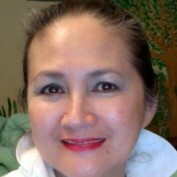 I am an artist/painter, professor - Real Estate Core Courses and MCE Electives, Small Business Consultant, and Writer. I love to write; been writing informally for years and I have these collections of thoughts dancing wildly in 20 or more journals. They are tucked safely somewhere. Wrting is the only way for me to release certain energies that happens to be clinging in my spirit in certain given moments. Please follow me and click subscribe. It is free. For traffic. Needing your help. And I thank you in advance for your kindness. God bless you for your kindness. I am a Gimini, go figure yourself what am I. But this I can tell you; that I love nature, peace, serenity, beauty, books, arts, sweet love, soulful laughters, sincere gestures of affection and caring. My ideal vacation is to retreat to a garden and to soak in the water; to hike a little in the beautiful mountains and feel the soft breeze in my cheeks while enjoying the beauty of God's creation as far as my eyes can soak in; to read in a lounge with fruits and food by the side table, and to sleep on crisp white fresh linens and bury myself with pillows and blankets then enjoy the 62degrees F., temperature for a good straigth 8 hours. I look forward in spending good company to run and sweat, bike, swim, and to savor the silent waves of the ocean, soaking my skin in the cool waters. And then; life will be so great in finding the beauty and greatness of each event. And also, I am sensitive, quite, observant, funny, loner, kind of serious about life and all things in this world; but fun too-don't get me wrong. I love to laugh and share jokes and funny stories for I love good company and uplifting conversations. Like everyone I know, I aim for a healthy way of living, yet, I still do love the great excellent luxury gourmet food although careful as well for health sake. I savor to inhale the easy luxurious lifestyle I dream; no, not jetsetting. Because, I like walks in the park in the moonlight; meditating and watching the stars paint the pit black sky, and hear only the whispers of the leaves as the breeze pass by. For in this moment, my soul meets with my thoughts and they collide as they make up my life. To me this is peace, contentment and fulfillment of my desires in how my world is lived day by day. For all you know, I am just a simple person, I smile a lot, laugh a little, my needs are simple but mostly pure. I love friends most especially the sincere nature of their soul. I would slave myself for their loyalty and kindness. Although I am trying to fashion myself not to be affected much with the strifes in life which usually comes every now and then; for in this reality, I have learned that it is just the way we handle and deal with such crises and in how we perceive such that provides us the true picture and the true meaning of our life; in this way we create our attitudes towards living. I forgive easily as I am loyal to friends, definitely when they are really caring for my well-being; but I will turn away from their mean treatment in a heartbeat. To put my personality wildly-blindly; a fireball in a deep center coated with thick layers of ice crust covered with soft, mushy marshmallows that felt like a cloud. This ball is hidded in the deep corners of a green forest filled with magnetic caps that feels every heartbeat of the universe. In other words; I can't stand put downs, labeling, gossip, and many other negative behaviors, most especially when accused by the one whom I cared the most. For me; it is just hurtful to realize that I am not worthy of their respect and trust. In however we look at life; we all stand at the foothold of stewardships, abiding by the rules and guidelines of simple living: to respect everyone, every creature, everything you see, touch, feel, and have.